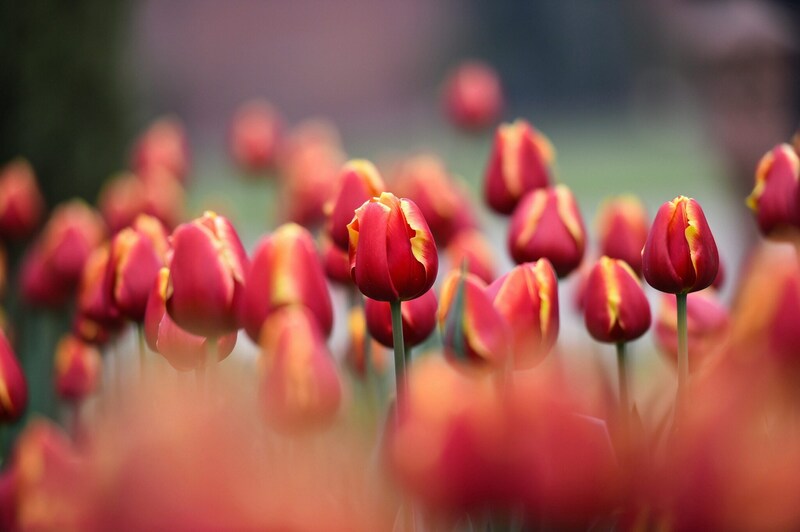 The calming ambience of Rashtrapati Bhavan's lush-green Mughal Gardens is all set to welcome the visitors to its 70 varieties of seasonal flowers, including specially imported flowers from the Netherlands and Japan, from February 6 to March 10. 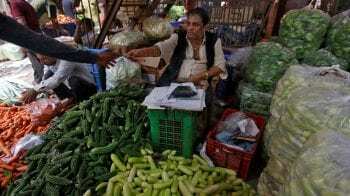 Set against the majestic backdrop of the presidential residence, designed by British architect Edward Lutyens, the 15-acre gardens will open as part of the annual 'Udayanotsav' -- a long-standing tradition of the Bhavan. 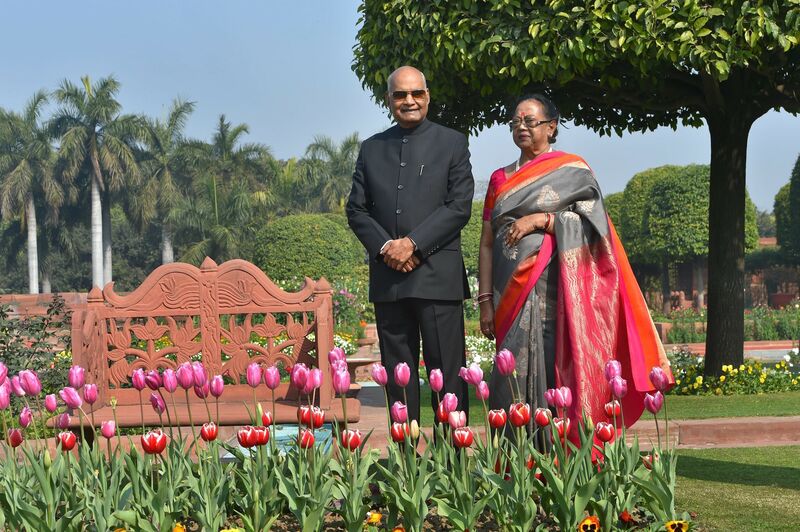 President Ram Nath Kovind and First Lady Savita Kovind pose for a photograph during a preview of the Mughal Gardens at Rashtrapati Bhavan in New Delhi, Monday, Feb. 04, 2019. The Mughal Gardens will open for the general public from Wednesday, Feb. 06 to March 10, 2019. 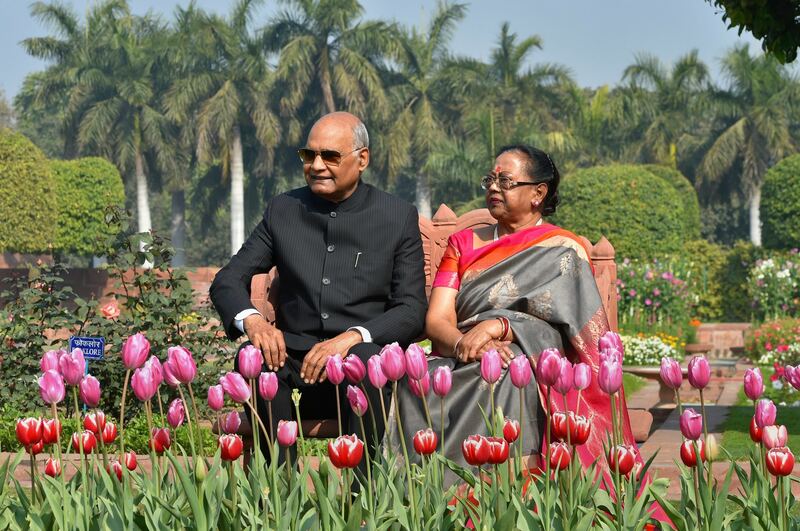 President Ram Nath Kovind and First Lady Savita Kovind sit near a bed of tulips during a preview of the Mughal Gardens at Rashtrapati Bhavan in New Delhi, Monday, Feb. 04, 2019. 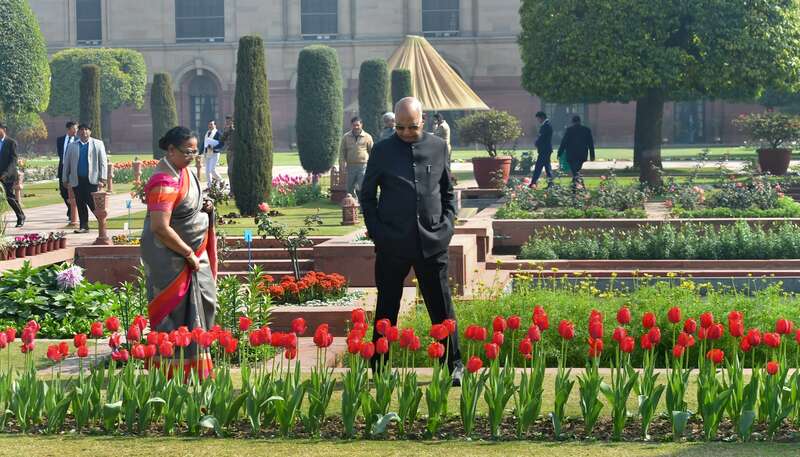 New Delhi: President Ram Nath Kovind and First Lady Savita Kovind during a preview of the Mughal Gardens at Rashtrapati Bhavan in New Delhi, Monday, Feb. 04, 2019. 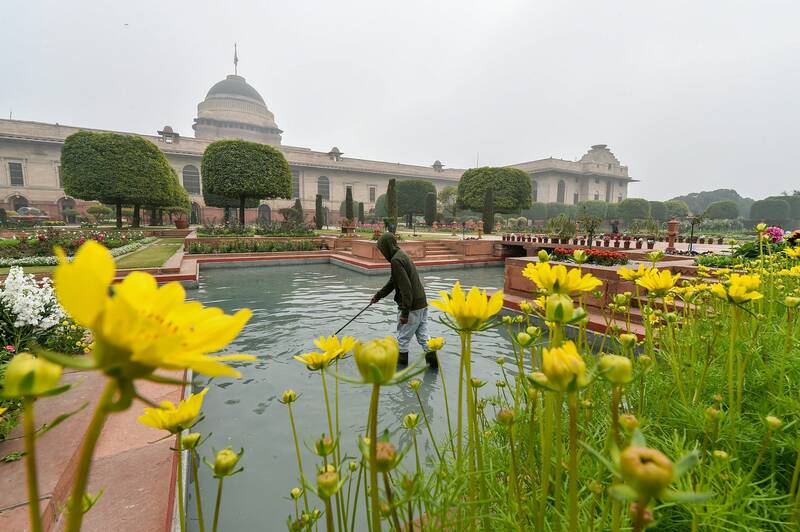 A worker cleans a pond as the flowers bloom at the Mughal Gardens of Rashtrapati Bhavan in New Delhi, Saturday, Feb 2, 2019. 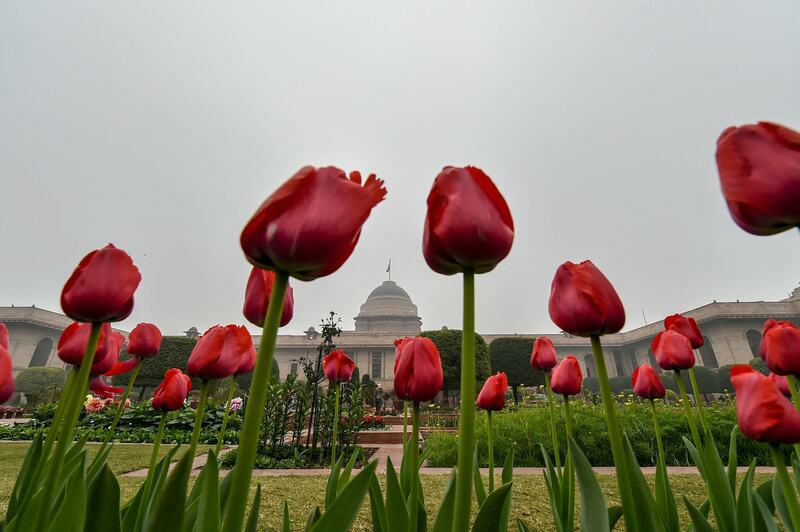 Fully bloomed tulips at the Mughal Gardens of Rashtrapati Bhavan in New Delhi, Saturday, Feb 2, 2019. 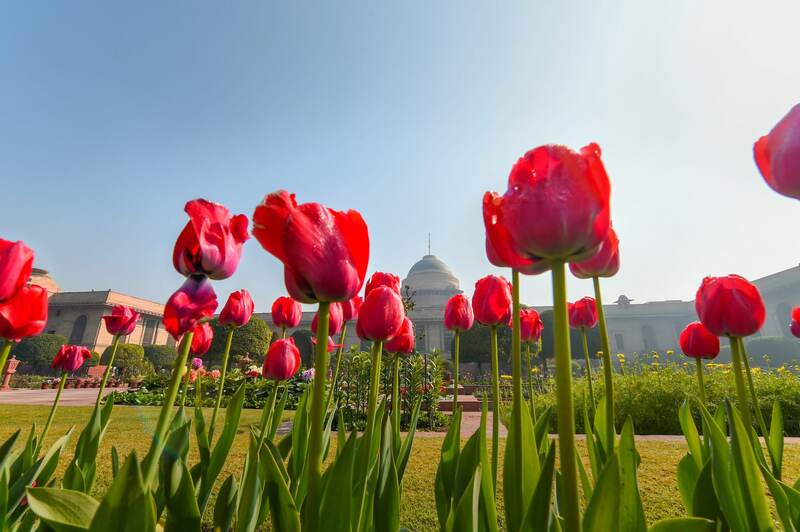 Fully bloomed tulips at the Mughal Gardens of Rashtrapati Bhavan in New Delhi, Saturday, Feb 2, 2019. The Gardens will be thrown open for the public from Feb 6 to March 10, 2019. A fully bloomed Dahalia flower at the Mughal Gardens of Rashtrapati Bhavan in New Delhi, Saturday, Feb 2, 2019. Tulips in full bloom at the Mughal Gardens of Rashtrapati Bhavan, in New Delhi, Monday, Feb. 04, 2019. 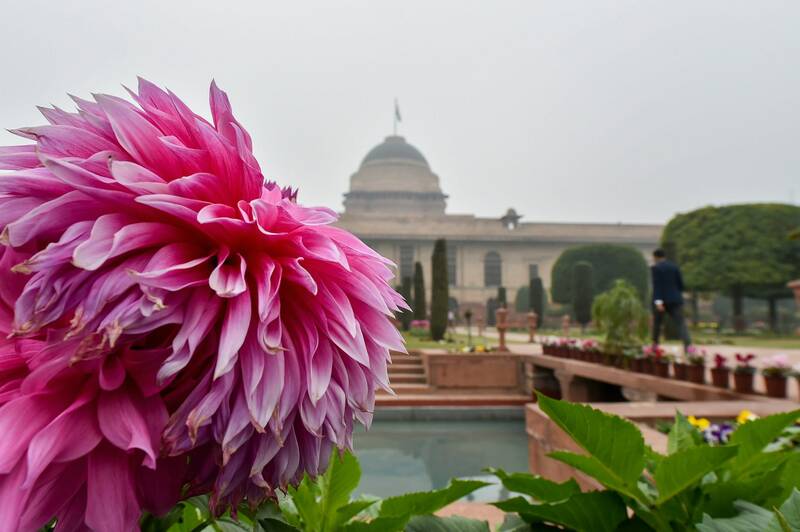 The Mughal Gardens will open for the general public from Wednesday, Feb. 06 to March 10, 2019.